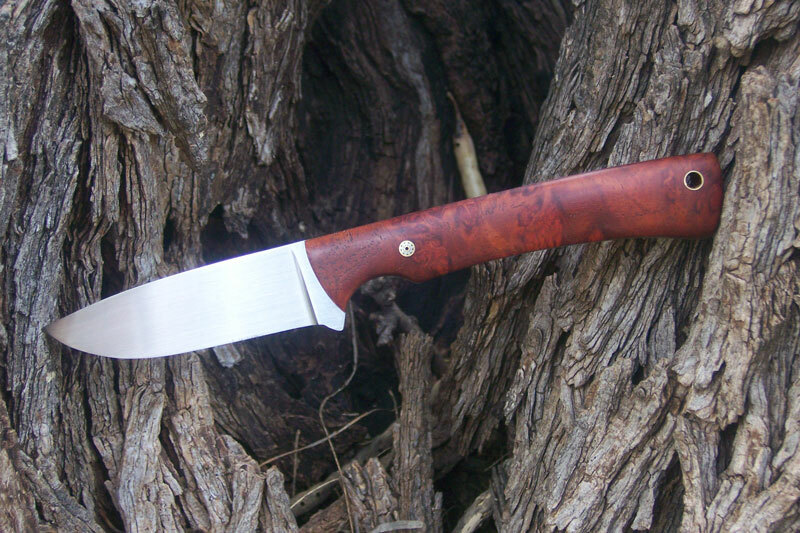 This knife fits the EDC (every day carry) or small skinner category. OAL is 7 inches with a blade of 3 inches. The steel is 1084 at 60 RC with a 400 grit hand finish. 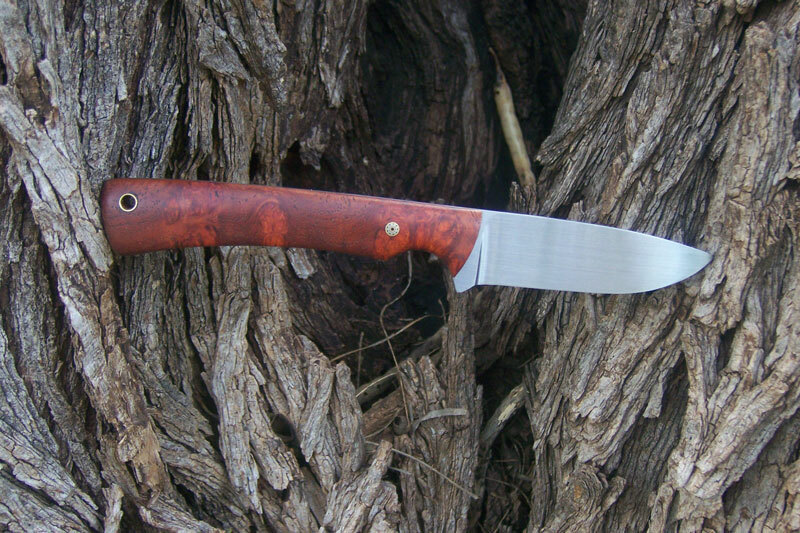 The handle material is amboyna burl, and the knife has a mosaic pin.